Two of America’s premier singer-songwriters join forces for an acoustic evening backed by nothing but their superb voices, first-rate guitar playing and charming reminiscences. 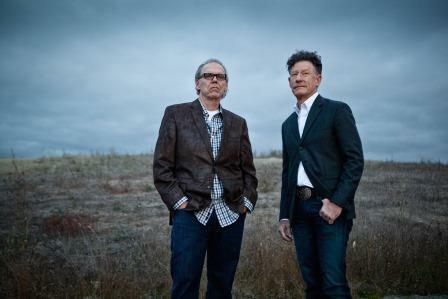 Lyle Lovett and John Hiatt together again, these elegant, captivating meetings between cherished friends and collaborators make for dynamic song-and-story swaps that are difficult to resist. Both artists are considered originators of Americana music. Hiatt is a member of the prestigious and highly selective Nashville Songwriters Hall of Fame and has 24 albums to his name. Over the course of a four–decade songwriting and recording career, Hiatt has penned songs that became hits for the likes of Three Dog Night ("Sure As I'm Sitting Here"), Bonnie Raitt ("Thing Called Love") and Eric Clapton and B.B. King ("Riding with the King") to name just a few. Since his self-titled debut in 1986, Lyle Lovett has evolved into one of music’s most vibrant and iconic performers and was named Texas State Musician. His works, rich and eclectic, coupled with his gift for storytelling, are some of the most beloved of any artist working today. Lovett is a recipient of the Americana Music Association’s Trailblazer Award, is a four-time Grammy winner, and has produced 14 albums.